Let me be the first to say that this is not at all a recipe to go into the healthy category. 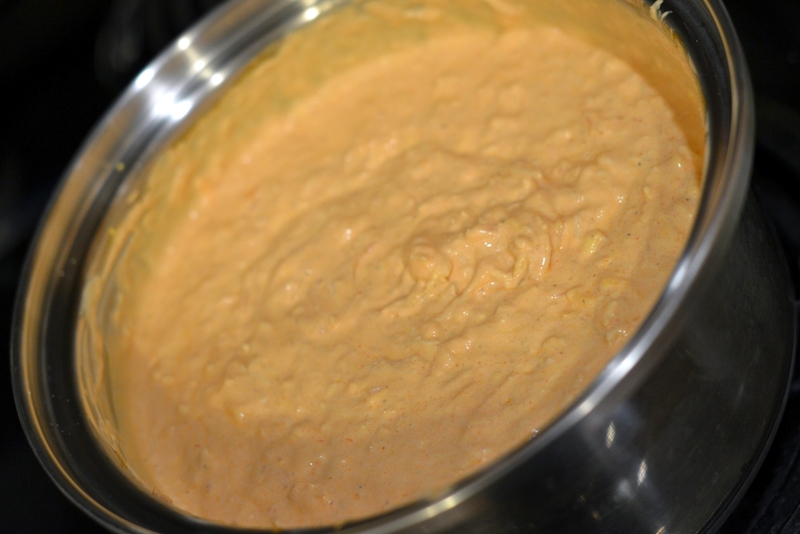 However, show up to a Super Bowl Party next Sunday with this fabulous Buffalo Chicken Dip, and you will have people asking you for the recipe all night long. Seriously. There are quite a few recipes out there for buffalo chicken dip, but I think this one tops them all. I originally got the recipe from my mom, but I’ve made a couple of changes to suit my liking. Speaking of my mom, I will have you know that she is awesome in the kitchen. And her mom? Also awesome in the kitchen! But somehow, I lost the gene somewhere along the way. I admit that I am a total klutz in the kitchen. There’s that time in Jr. High where my friend Christa and I ruined Easy Mac (yes…it’s possible)…or that time when I was making No Bake Cookies with Lauren and Melissa and we put eggs into the dough (salmonella anyone? )…the time where I forgot to put foil over something in the oven…the list really goes on and on. 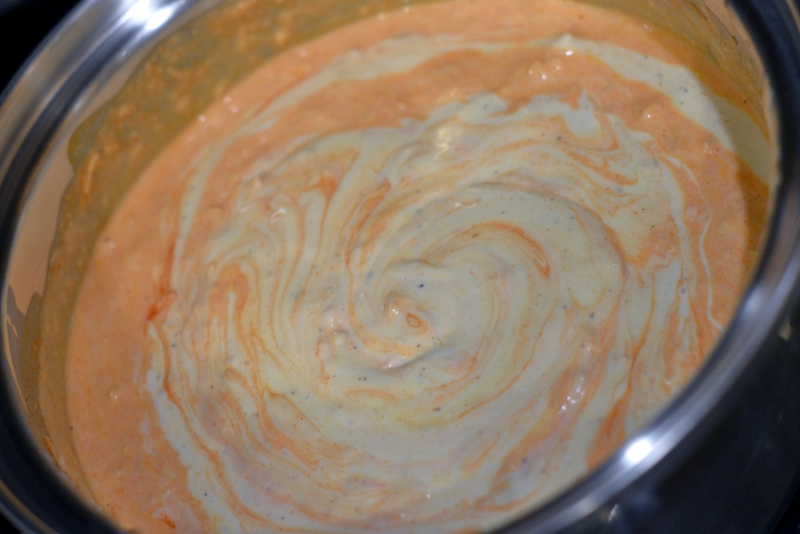 I have seriously made this recipe for buffalo chicken dip a dozen times, but for some reason I could not keep myself from making careless mistakes today. 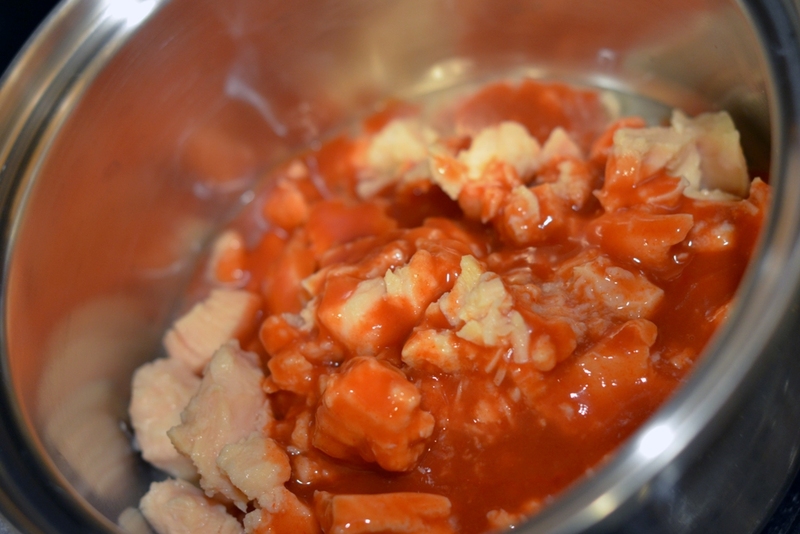 I thought about not adding my blunders to this post, but I know it may be helpful for others to know what not to do when making this recipe. Don’t assume you know how to work the can opener when you are cooking in someone else’s kitchen (in my defense, I have always used an electric can opener. The hand-held manual one is too confusing and way too much work). 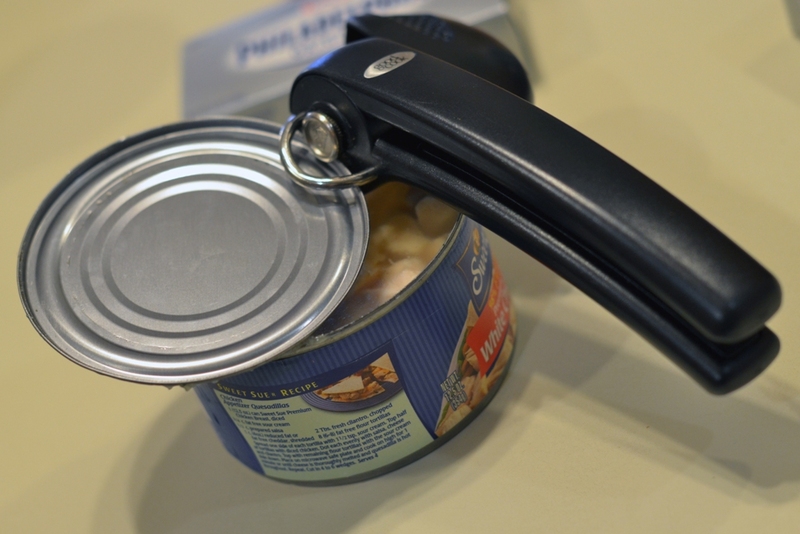 It took me close to 30 minutes to figure out how to use my mother-in-law’s can opener. Don’t open the cans of chicken with your cats around. They will think it is their wet cat food. They will annoy the tar out of you for the remainder of the time you are in the kitchen. Don’t tip the ranch dressing bottle over and squeeze so hard that you lose the cap in the dip. You will have to fish it out, and you will feel like an idiot in the process. Don’t fail to check expiration dates. 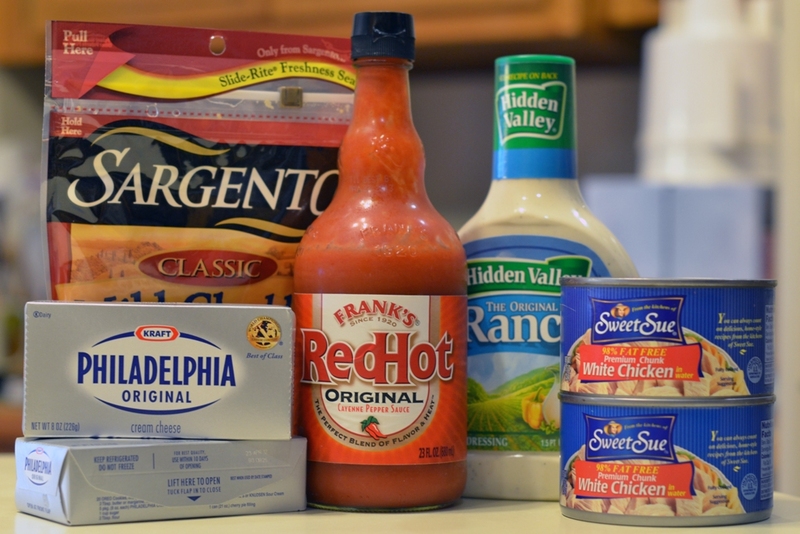 When the ranch smells funny it’s a sure sign that it may be a couple of weeks past its shelf life. 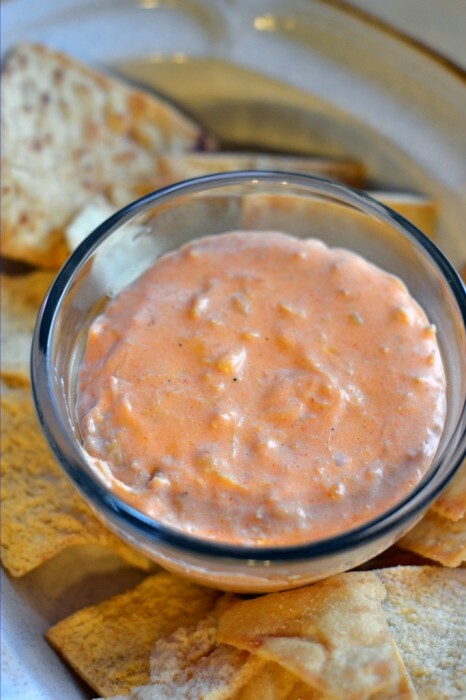 Don’t assume you have tortilla chips to use for dipping. Almost always you will not have what you need and you will have to substitute something else instead (like the pictures below—I had to substitute pita chips). And now…here is what to do (a.k.a. the recipe)! 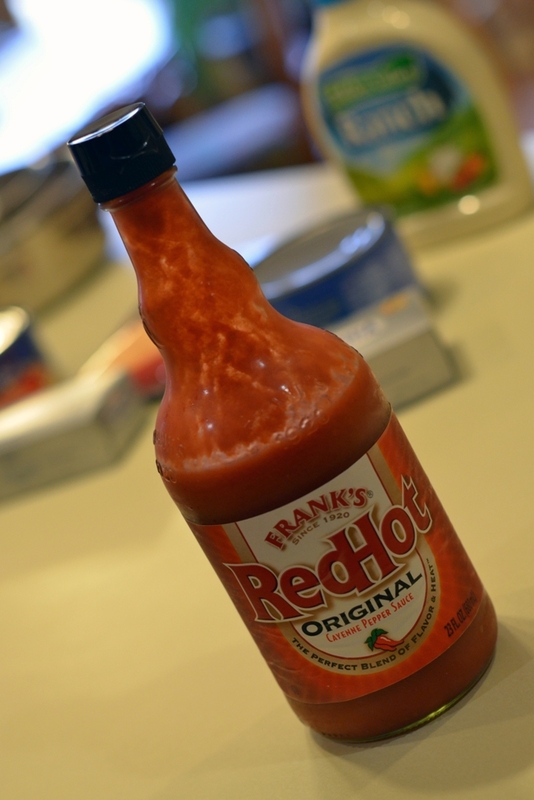 In a pan over medium heat, cook the chicken and the Frank’s hot sauce until warm, breaking up the chicken into flakes with a fork. 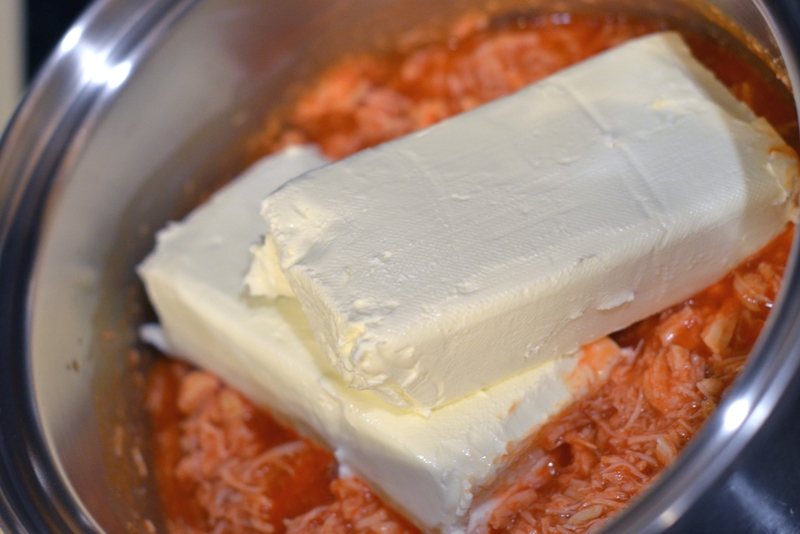 Add the cream cheese and stir until melted. Add the ranch dressing and stir until warm. 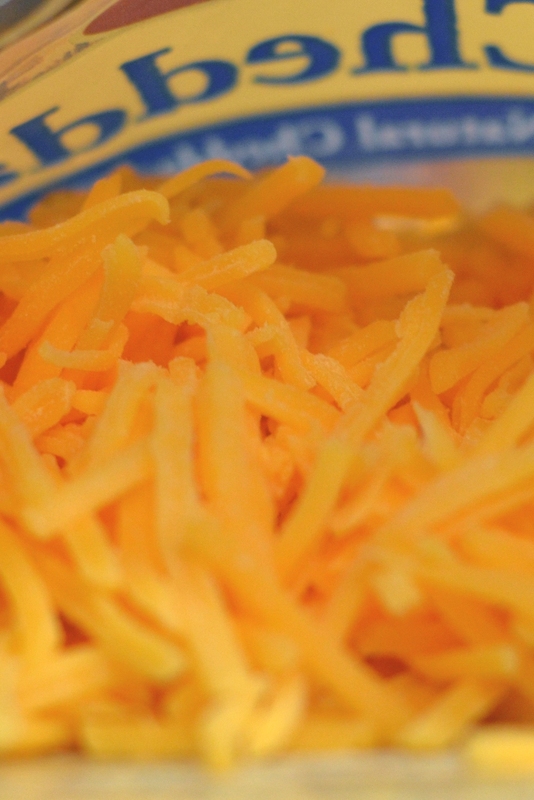 Add the cheddar cheese and stir until it’s completely melted. Serve warm with tortilla chips. The recipe is awesome and sure to be a hit at any party! Let me know if you try it and what your thoughts are! I love reading your comments on my posts! Beautiful pics. Love it. Thank you for the compliment, I really needed it today. Just remember, everyone screws up food once in a while. I have definitely screwed some stuff up thru the years! Funny, I was going to make a smart comment about the can opener but it took me about 30 minutes to write this comment…stupid computer!!! Thanks! I meant every word of the compliment too! Maybe some time you can show me how to use a can opener and I can show you how to add a comment.